University of Chicago Press, 9780226904351, 195pp. 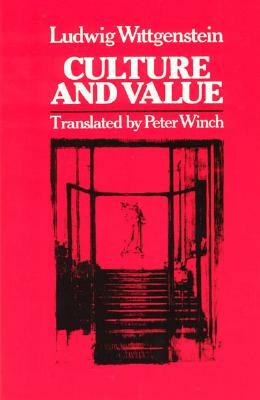 Peter Winch's translation of Wittgenstein's remarks on culture and value presents all entries chronologically, with the German text alongside the English and a subject index for reference. "It was Wittgenstein's habit to record his thoughts in sequences of more or less closely related 'remarks' which he kept in notebooks throughout his life. The editor of this collection has gone through these notebooks in order to select those 'remarks' which deal with Wittgenstein's views abou the less technical issues in his philosophy. So here we have Wittgenstein's thoughts about religion, music, architecture, the nature of philosophy, the spirit of our times, genius, being Jewish, and so on. The work is a masterpiece by a mastermind. "-Leonard Linsky.